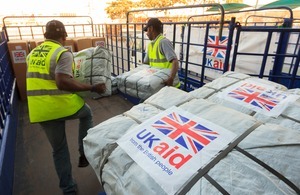 Today the UK’s Department for International Development launches its new graduate scheme - a paid, 50 week programme offering a diverse range of opportunities in areas from humanitarian response to private sector development. The scheme is targeted at those who are passionate about tackling global poverty and want to gain experience in international development. It is open to 2011 or 2012 university graduates, or those completing a post-graduate qualification. The closing date for applications is 20 March 2012. Successful candidates will undergo a structured development programme including personalised induction and training, e-learning and the support of a mentor. Whilst at DFID, they will be able to apply for internal opportunities and will gain valuable work experience to improve their employability in the sector. The UK Department for International Development’s new graduate development scheme is a fantastic opportunity for recent graduates to gain experience and skills within the sector. They will make a real difference to reducing poverty by contributing to global programmes while also building their expertise. This unique scheme is a great opportunity for anyone wanting to build a career in tackling global poverty and injustice. There will be positions available in both our London office and our Glasgow (East Kilbride) office in Scotland. Find out how to apply in the ‘Work with us’ section.